Following last month's blitz to make my painting target, I've not painted so much in March so far and when I have I haven't stayed with one thing for long. So here are some of the things I've dabbled with this weekend. 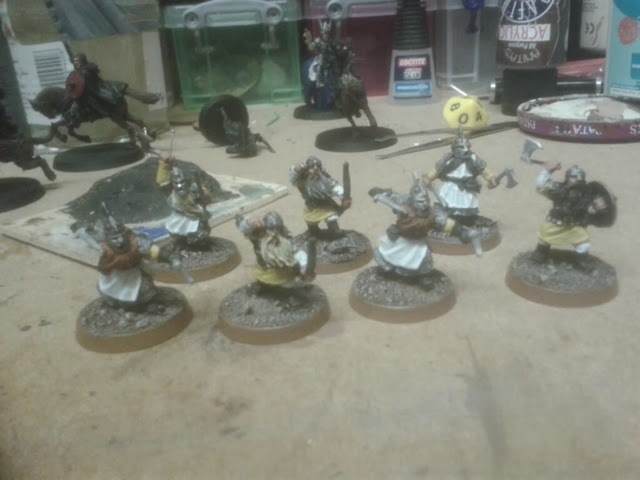 More dwarves. I love the sculpts of the metal LOTR dwarves. They are a pleasure to paint. 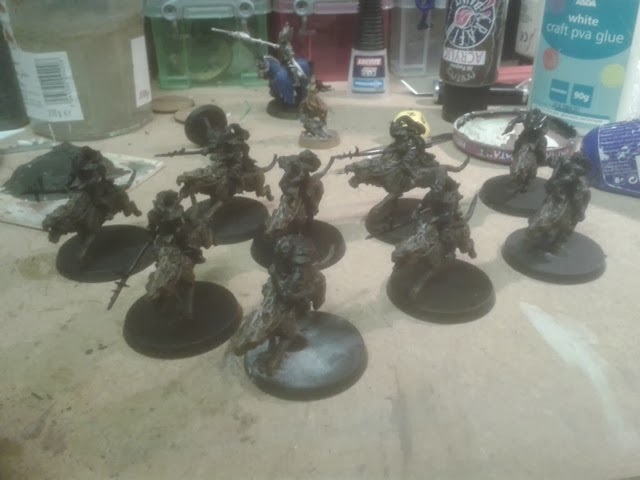 I've started work on a detachment of warg riders. 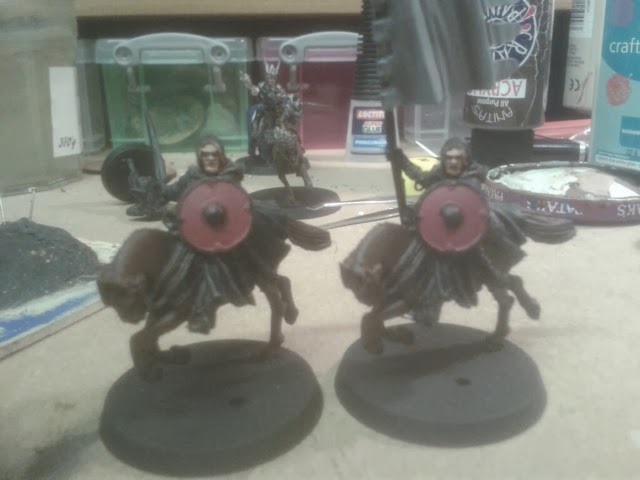 I only have a handful of Mordor troops to paint, and it would be great to have a section of my backlog complete. 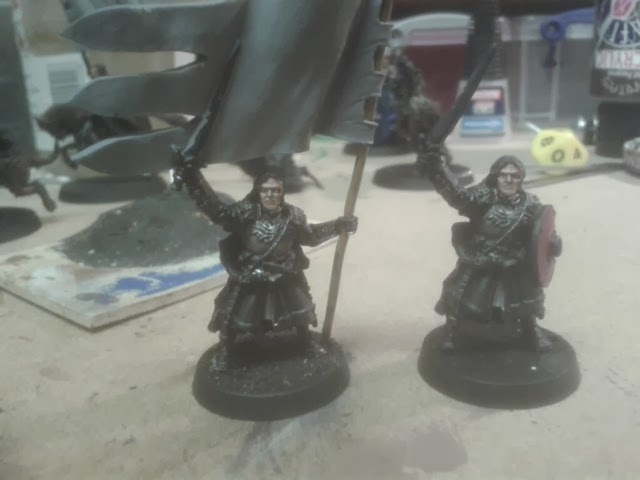 There are only a few models left for Project Gondor too. Here I have a load of Boromirs. Not my favourite character, but the mounted model is a very nice sculpt. Finally for a cheerful diversion some more superheroes. 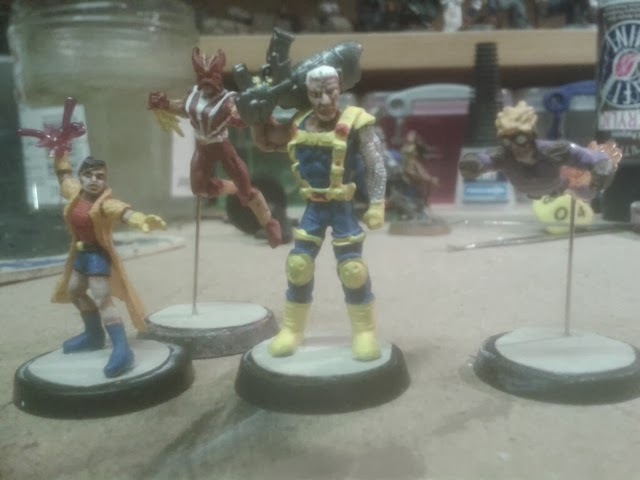 Heroclix are variable in their quality but some of these are great. Others are horrible. Jubilee - I'm looking at you here! Nightcrawler is a bit odd though. 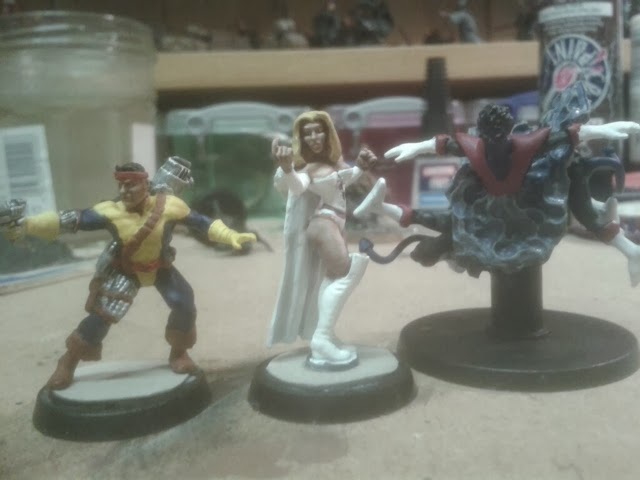 I'm going to use Emma Frost to practise my white tones. Had a great game with And at Garrison on Wednesday. Introduced him to SBG rules with the Balin's tomb scenario. Hope to have some more skirmishes at some point. He showed me some of his Infinity stuff and I've spent this week drooling over that game too. I'd like to try it first though. Thats a great amount of work!